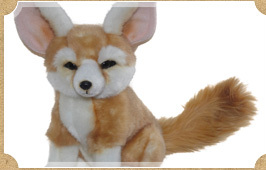 Buy Plush Toys Online: Stuffed Toy Animals & More! Welcome to Nancy’s Plush Toys and Gifts! Are you looking for the perfect stuffed toy animals for the little one in your life? For unique and loveable gifts, look no further. From polar bears and puppies to monkeys and mythical unicorns, Nancy’s Plush Toys and Gifts has adorable, soft stuffed animals for every child. Birthdays, Christmas, Easter and just because: each of these occasions can be made special with a soft stuffed animal for a child to love. For sixteen years we’ve been striving to bring you the best in quality for kids’ animal toys. Combining a passion for collecting stuffed animals and a desire for only the best, Nancy’s Plush Toys and Gifts offers realistic looking stuffed toy animals that can’t be beat on price or worth. Whether you’re looking to complete your own menagerie or you’re shopping for another, please feel free to browse our kids’ animal toys section by section and you’ll find exactly what you’re looking for. 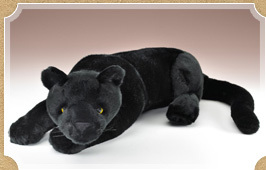 Nancy’s is simply the best place to buy plush toys online.